Mount Hood is more than a mountain. It´s a mammoth playground. An adventurer´s paradise. A dream for thrillseekers and sightseers. Pick a season, any season. Then hightail to Timberline, where you´ll find yourself in the middle of it all. 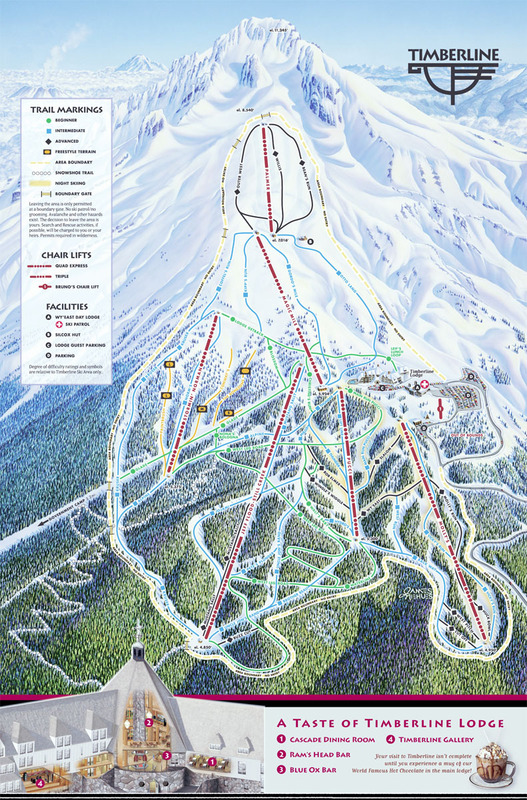 Timberline lays claim to being the only ski area in North America that remains open 12 months out of the year. The resort offers 3,690 vertical feet (more than anywhere in the Pacific Northwest), and is ocated near the top of an 11,245-foot volcano- the tallest mountain the Oregon.